Settlement on Ovalau Island dates back some 4000 years. Levuka first came to prominence in Fiji, and indeed in the whole of the Pacific, from the early 1800s. It became a place of early settlement for numerous and diverse people - foreign traders, merchants, missionaries, shipwrights, vagabonds, shipwrecked sailors, respected businessmen and speculators alike. to cede Fiji to the United Kingdom on 10 October, 1874. Sir Hercules Robinson, Governor of New South Wales, acting as personal representative of Queen Victoria, received Fiji as a Protectorate and Colony in a ceremony which is still re-enacted in October each year, on the same site at Nasova, at the southern end of town. 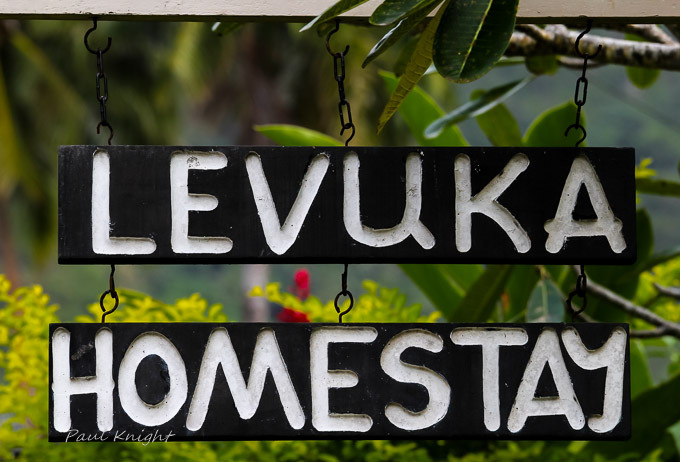 Naturally, because Levuka was the first colonial settlement, there were many "firsts" here - the first bank, post office, public school, private members club, Masonic Lodge, municipality, hospital, town hall, Wesleyan, Methodist and Anglican churches, to name a few. 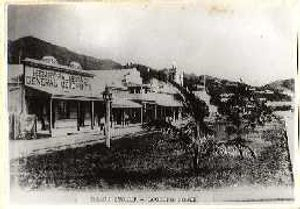 Levuka was also the place where the first public electricity system was begun in 1927 - the electricity was switched on three days before that of the modern capital, Suva. 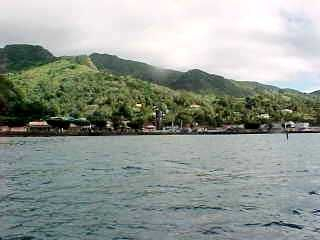 The traditional village of Levuka can be found at the northern end of town. The current chief is a direct ancestor of the chief who first befriended early European settlers. 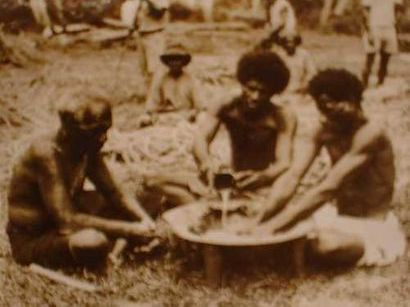 Even to this day, the "Tui Levuka" is still referred to as "Tamana na vavalagi" (father of Europeans). Even today the town retains many of its pre-colonial and immediately post-colonial buildings, and is considered the most intact remaining example of colonial influence and lifestyle in the South Pacific. It is this, together with the very relaxed lifestyle and friendliness of the locals, that now attracts people from all over the world to visit this interesting and very photogenic town. Levuka still remains a sleepy little frontier town, with a population of about 2000 inhabitants. Its main source of employment is the Pacific Fishing Company, a deep-sea tuna processing factory. It employs approximately 750 of Ovalau's 8000 inhabitants. Levuka is the largest of the twenty-four villages and settlements on the island and acts as a market-place and service centre for the people of the island of Ovalau and for the other scattered islands of the Province of Lomaiviti.